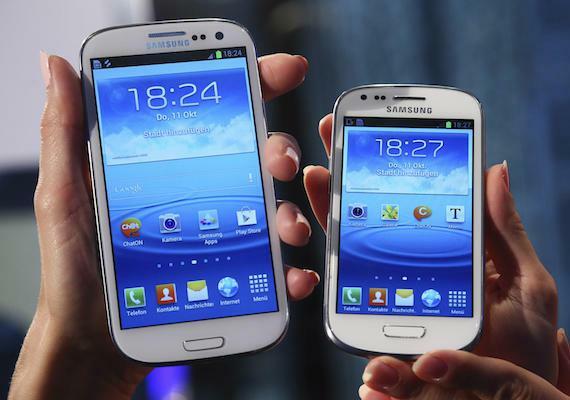 Samsung Galaxy S3 Mini vs Galaxy S3: Is it Really a "Mini" Version? Samsung Galaxy S3 Mini vs Galaxy S3: Is it Really a “Mini” Version? Samsung, one of the leading manufacturers of smartphone and mobile devices, has unveiled the Samsung Galaxy S3 Mini I8190. 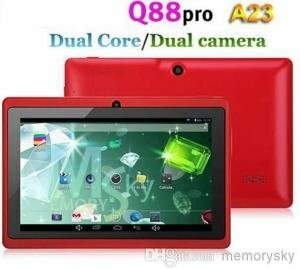 Right after its official announcement, it has become one of the most searched smartphone, followed by Samsung Galaxy Note II and, its big brother, Samsung Galaxy S3. Today let’s compare the Samsung Galaxy S3 Mini vs Galaxy S3 and put their specs sheet side by side. As you can see on the table above, the Samsung Galaxy S3 Mini generally has lesser features and lesser processing power compared to its big brother the Galaxy S3. But the design and looks is 98% similar. Why only 98%? Even though the Galaxy S3 Mini is smaller in size, it’s also a little bit thicker compared to the Galaxy S3. You will also notice that the front facing camera is located on the opposite sides. The Samsung Galaxy S3 Mini is only powered by a 1GHz Dual Core NovaThor U8420 processor, unlike its big brother that is powered by a Quad Core Exynos 4412 processor and Mali-400MP for its GPU. Obviously the screen size is smaller, by 0.8 inches. And the Samsung Galaxy S3 has a better display quality compared to the Galaxy S3 Mini. The Samsung Galaxy S3 Mini is built with only 5 Megapixels camera and only a VGA front facing camera. There is no LTE version, and the HSDPA speed is only 14.4 Mbps, unlike the Galaxy S3 that has an HSDPA speed of 21 Mbps. I think the only advantage of the Samsung Galaxy S3 Mini would be its price, since obviously it will be priced a lot cheaper compared to its big brother. And it’s also running on Android 4.1 Jelly Bean out of the box. Unlike the Galaxy S3 which is running on Ice Cream Sandwich out of the box. But the Galaxy S3 will have its Jelly Bean update so I wouldn’t count this as an advantage of the Galaxy S3 Mini. In my opinion, the Samsung Galaxy S3 Mini has become the little brother or the “mini” version of the Galaxy S3 primarily because of its similar design and looks only. Their specifications are far different from each other. I can’t really say that it’s the “Mini” version of the Galaxy S3. Let’s say for example, you undress the Samsung Galaxy S Advance and put it on a Samsung Galaxy S3 Mini casing (although this is not really possible). On the outside it looks like a “Samsung Galaxy S3 Mini”, and you can easily dub it as the mini version of the Galaxy S3. But on the inside it’s just a Galaxy S Advance with better looks from the outside. Samsung could have provide a better specs for the Galaxy S3 Mini, but I guess they just want to target those people who wants to have a Galaxy S3 but could not afford one, so they offer the Galaxy S3 Mini at a more affordable price. People also compare the Samsung Galaxy S3 Mini vs iPhone 5. I’m not really sure why, perhaps because they are similar in size. But there is only one obvious answer to this, the iPhone 5 is definitely way better than the Samsung Galaxy S3 Mini. Samsung Galaxy S4 vs S4 Mini: What’s the Difference?